We can help you create a positive vibe about your brand on social media platforms. From large corporations to small garages, it has become vital for each business to have a strong presence on social media. 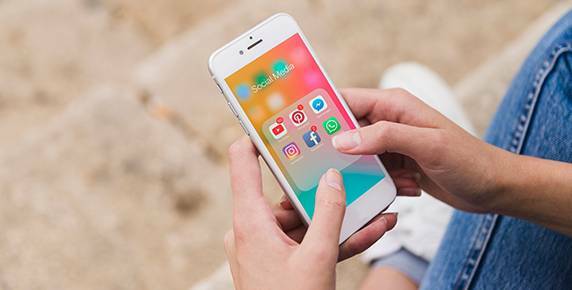 Social media marketing is usually the mixture of achieving two goals, website traffic and creating awareness about your brand through social media. 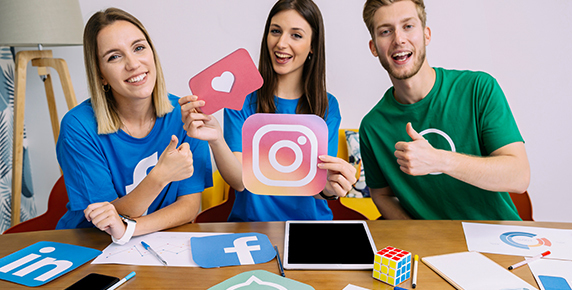 Social media marketing programs typically concentrate on attempts to produce content that catch the fancy and give readers the confidence to share it among their social networks. A commercial communication broadens from user to user and seemingly reverberates because it emerges to derive from trustworthy third-party resources on contrast to the corporation itself. Thus, this appearance of marketing is determined by word of mouth. Social media has turned out to be a podium that is effortlessly reachable to anybody with internet contact. Amplified communication for association promotes brand consciousness and often, enhanced customer service. Facebook is serving presently over 2.23 billion dynamic users. Various big businesses and brands have seen the prospective Facebook has to offer and catch benefit of this intensifying user base to not only amplify knowledge but engender a successful fan support, sales and most significantly, an online society. Phedratech team can do the “Facebooking” of your business and brand. Currently, you could be passing by this enormous and ever intensifying marketing prospect for your business in the line of slow traffic. Your Facebook business page should be pleasurable and constructive for the objective viewers. One efficient and successful way to accomplish this devoid of serving time or budget is to contact with us. Social media sites and micro blogging sites are manipulating our culture in a strapping manner. Our society has the internet as their new home. We, at Phedratech act as your business representatives on Facebook, Orkut, Twitter, Blogger and most importantly, Google Plus. Certainly, that world sees social networking as a resource of communication and it even has more importance than phones! Google+ ought be an essential division of your social media strategy because of the noteworthy search engine reimbursement it gives in your business, helps it to be get higher ranks in search engine results. Considering all these points, we give Google + , its well deserved importance in our social media marketing programmes. Online world now a days has shown the way to a seismic modification in the way clients intermingle with businesses and social networks have a significant liability in rising your brand perception and profits equally, that's where Phedratech moves in for your help. It's not regarding commotion and shouting the loudest; it's about the precise obsession and using high standards for your brand improvement. That's why Phedratech team sits down with you to work out your campaign of communication that hysterics your brand. We'll then generate gorgeous content and utilise each and every shuffle of our SEO and PPC capability to make it certain that your message reaches to the target audience and Twitter marketing plays an important role in this regard. Phedratech has played an important role for many businesses in creation and promotion of branding captains. Image marketing helps businesses build their repute and provide quality leads. Our experienced and creative design team works in parallel with marketing department to create an effective image marketing campaign for you to make the best of this proven marketing tool and improve your online presence. Our video marketing services at Phedratech offer video creation, optimisation and advertising. Video marketing permits businesses to correspond their significance in one deliverable on several stages, imagery, the vocal word, and wording, while understanding huge spectators with nominal expenditure and the nonstop quantity of time. Our video marketing team assists optimise a video based on your besieged keyword slogan for the prevailing results. Our team can help out in creating script, graphics, imagery and then help it spread or we can optimise your previously formed video to make them able to get place at top on trustworthy search engines. We have helped lots of undersized businesses and LLCs to improve their LinkedIn marketing and LinkedIn promotion attempts so they know how to acquire additional brand power, turn out to be forethought leaders in their business, helping them to create a centre of attention for further targeted scenario, get more interpolation appointments, instil reliability, amplify your client pool with the higher returns on your investment.